Hours of operation are 8:00 am to 4:30 pm Monday through Friday. The Rapides Parish Sheriff’s Office Training Division offers a variety of training to law enforcement agencies as well as to the general public from our surrounding communities. The Sheriff’s Office has always had on-going training for the deputies who serve in our communities. 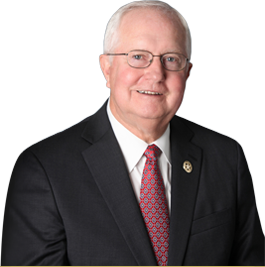 But our official training academy was formed under Sheriff William Earl Hilton on January 20, 1999. It is located at 150 Sheriff’s Range Road in Alexandria, LA off I-49 at exit 90. The training academy is home of the Regional Corrections Academy, working as a satellite location under the Alexandria City Police Charter as the Regional Basic Police Academy. The Sheriff’s Office Training Academy takes the Basic Academy to a new level, providing a range with extensive firearms and officer’s survival training giving opportunity for surrounding agencies to get the training needed to fulfill the obligations of their departments by putting better trained law enforcement personnel into our communities. Our first Correctional Academy was held in September of 1999, and we have graduated our 34th Academy in 2014. Our on site staff at this time includes Deputy Patsy Netherland Academy Director, Deputy Gerald Butler, Assistant Director. Click on the link for a PDF version of our Correction Academy application. The site sits on 46 acres. It includes a police pistol range, a tactical range, shotgun range, and rifle range. The Training Center, located at 1104 Billy Mitchell at the England Airpark, is the main meeting place for youth groups like the Sheriff’s Explorers and the Youth Hunter Education Challenge Team the Rapides Parish Pioneers, and the local Boy Scout Troops. Others hold monthly meetings or training here such as the Sheriff’s Office Special Weapons and Tactics Team, Hazards Material Team, Explosives Ordinance Disposal Unit and the Rapides Parish Dive / Recovery unit. We also offer Hunter Safety Education Classes and seasonal classes for Bow Hunting and Boater Safety. Other classes include Women’s Safety Awareness as well as personal protection classes for the elderly or college students. All classes, including our yearly in-service training, are listed on this web sight. 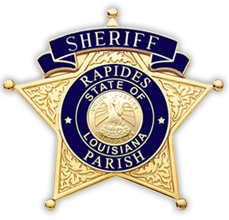 If you have any questions concerning the Rapides Parish Sheriff’s Office Training Center, you can contact us at (318) 442-9229 Mon.-Fri. 0800-1630 hrs. or email us. On Tuesday, May 19th, 2009, the first ever Rapides Parish Sheriff's Citizens' Academy started classes. The Citizens' Academy was started as a way to further educate the public about the Sheriff's Office and the different roles each department plays in making the community a safer place. The academy is held each Tuesday from 1800-2100 hrs. for a duration of 7 weeks. For more information, visit the Citizen's Academy page.